Some of you may be harbouring ambitions of becoming lawyers some day. Sri Lanka has produced some brilliant lawyers over the years, among whom one of the best was Dr Colvin R. De Silva. De Silva was not only an outstanding criminal lawyer, he was also one of the finest orators in Asia, a historian, statesman, and an honest and forthright politician. He was also the founder of the Lanka Sama Samaja Party (LSSP), of which he was President for many years. Colvin Reginald De Silva was born to the colonial middle class, the son of an allopathic doctor. He was educated at the CMS missionary school, Balapitiya, St. John's College, Panadura and Royal College, Colombo, where he was a member of the boxing team. After completing school, he continued his studies at the University of London. He came back from Britain a committed revolutionary, and took a room at the YMCA Hostel, Fort where he started his law practice. He also led Sri Lanka's first strike, which took place at the Wellawatte Mills. At 27 years of age, De Silva married Suvineetha, the first woman to pass the Cambridge Senior examination from his native town of Balapitiya. During this time, he started representing in court, many people wronged by the then colonial government. He also displayed outstanding forensic skills; and was involved in some of the best-known criminal cases in Sri Lanka. The Marxist party, LSSP, was formed by him along with others such as Dr N.M. Perera and Philip Gunawardena, on December 18, 1935. He started promoting socialism and was arrested and jailed by the government. De Silva was a father of four when he was jailed and saw his children only five years later. During the Second World War, while the Japanese air raid was under way in Colombo on April 5, 1943, he escaped from prison and fled to India, where he became closely involved with the Bolshevik Party of India. After the war, he came back to Ceylon and formed the Bolshevik Samasamaja Party, through which he successfully contested the Wellawatte-Mt. Lavinia constituency during Ceylon's first parliamentary elections of 1947. He lost this seat but later, regained it in 1956 as the LSSP candidate. 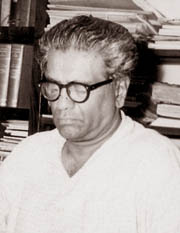 De Silva opposed the 'Sinhala Only' policy, and during the debate on the Official Languages Bill of 1956, backed his stand with the phrase "one language, two nations; two languages, one nation". He became the Minister of Plantation Industries and Constitutional Affairs in the government of Sirimavo Bandaranaike and is credited with the first Democratic Socialist Republic Constitution of Sri Lanka, which established Sri Lanka as a Republic. In 1982, he unsuccessfully contested the Presidential Elections too. He won his PhD for the thesis 'Ceylon Under the British Occupation 1795-1833', which was released as a book in 1941. Another of his publications was 'An Outline of the Permanent Revolution'. The silver-tongued orator died on February 27, 1987. Dr Colvin R. De Silva was a man with great vision, who could instantly grasp the exact nature of any issue. Union Place, Colombo was named after him, as a mark of honour to a man who made a vast contribution to the progress of the society of the post-independence era and the improved quality of life of the people in both towns and countrysides. If you are a classical music lover, you are sure to have heard of Mozart. This musician was one of the giants of the classical music arena and was responsible for some of the most outstanding pieces of music the world has ever heard. Wolfgang Amadeus Mozart was born on January 27, 1756 in Salzburg, between Austria and Bavaria. His father, Leopold Mozart was also a musician; his mother was Anna Maria Pertl. They had seven children, but only Wolfgang and an elder sister, Maria Anna, survived. The little boy was named Joannes Chrisostomos Wolfgang Gottlieb; all these names meant 'Beloved of God'. His nearest and dearest knew him as Wolfgangerly. It was only much later, after a trip to Italy, that he got the name Amadeus. When the young Mozart was about four years of age, his father started concentrating on a music education for their daughter. When the young boy also showed an interest in music, their father realised their talents and abilities and started teaching them the intricacies of music. The two children started perfecting their talents and in 1761, three days before his fifth birthday, Mozart mastered his first musical composition. Before long, he was composing more complex pieces and the proud father decided to take them on tour to the courts of Europe. Their first trip was made to Munich in 1762, and then they set off for Vienna. The boy gave his first public concert at Linz, and word soon spread about the exceptional talent of the child musicians. Their concert in Vienna was a massive success and invitations began pouring in from all corners of Europe. Due to the strains of constant performing may be, Mozart fell sick with scarlet fever. Although he got better with the medications administered by his father, periods of sickness became a regular feature in his life. During their trip to London, Leopold became sick and the children were relieved of their performances for a while. During this period, Mozart composed his first symphony for all instruments. They left London and returned home only around 1765, but nine months later, were on the road again. Between 1774 and 1777, he was in Salzburg, working at the court of the Prince-Archbishop. During this period, he composed many masses, symphonies, operas, sacred works, concertos, serenades and dramatic music. Although he earned well and regularly, sometimes he faced tough times due to bad financial management. He married Constanze Weber in 1782. The same year, he started working on many piano concertos, and before the end of 1786, had produced 15 such works, which is considered as one of his greatest achievements. It was also in 1786 that he wrote his famous operas, 'Le nozze di Figaro' and 'Don Giovanni'. He lived in Vienna for the rest of his life although he continued travelling. His final works included the Clarinet Concerto. Mozart died at the age of 35 in Vienna, on December 5, 1791. The cause of death was a feverish illness. Mozart left unfinished 'Requiem', his first large-scale work for the church since the 'c Minor Mass' of 1783, which was also unfinished.